Excellent work!, really, thanks for sharing it! Eva wallpapers are always a bonus, thanks for sharing. I love this art... Fantastic wallpaper! That's very nice! Never seen before, and very well done, thank you! Nice! 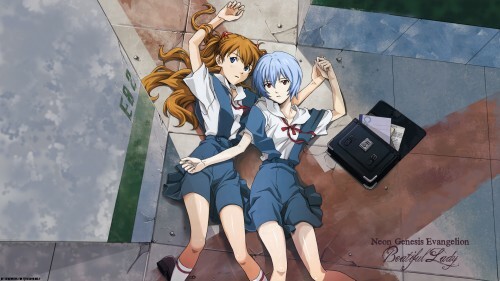 it's rei and asuka! lovely pic! And the shadows of the bg, very impressive! Great work. Evangelion is the best!.